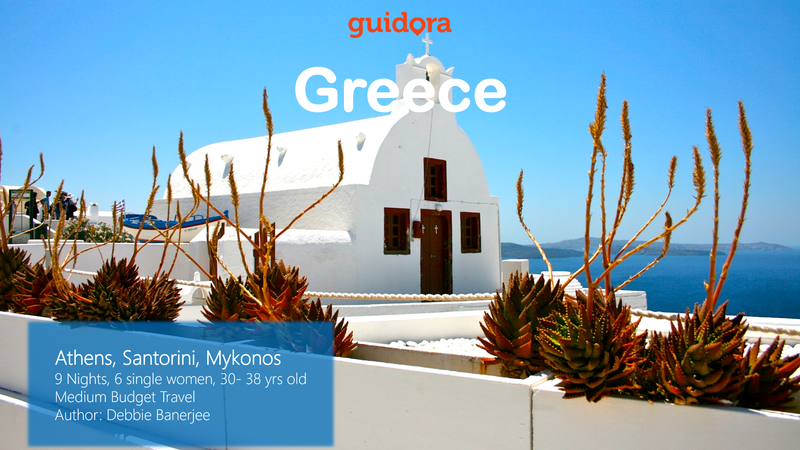 In this itinerary, we have put together the best of Greece in 10 days. It will guide you on which hotel to stay, so as to have easy access to all the suggestions of the itinerary, it will give you information on the restaurants you should eat, on the prices, on how to move around Athens, Mykonos and Santorini islands and on the bars and clubs you should visit in the night. This itinerary has only one and perfect suggestion for each hour of the day so that you don’t get lost in looking for information. You just follow the travel itinerary plan and you will enjoy the best 10 days of your life in Greece. It will help you save time, save money and eliminate the stress from organizing your trip to Greece. Why should you get this travel itinerary to Greece? – You will get curated unique experiences– not found easily floating around the net, or in the books. – It will suit all types of pockets– budget, medium to easy pockets. This travel itinerary would be best suited for May to August. If you want to have a look at how a Guidora Travel Itinerary Guide looks like before you purchase, feel free to download for free our Travel Guide for a tour of Turkey. The same concept applies to all our travel guides. Debbie Banerjee [Debarpita Banerjee] grew up in India, travelling right from her childhood. Her father was in the army, and would frequently get posted from one corner of the large country to another. She has spent more than a decade in advertising with key MNCs and hence spent more time travelling across the globe, for shoots and business. Currently she works for the National Geographic and Fox channels in India. She feels her biggest adventure till now, was when she left to discover Scandinavia, and spent a good week in Paris, all alone at the age of 25. Now she spends most of her free time travelling with her 3 yr old Golden Retriever or close friends, practicing yoga, and dabbling with photography and writing.